So after attending the Dell Venue 8 7000 launch a month ago, the things that stood out for me were how Dell managed to compress an 8.4″ screen into a 7″ all aluminium build, the razor sharp screen that offered excellent colour saturation, which bothered on being a little too vivid. Notwithstanding the good points, I called it a quirky looking tablet with a few unique design considerations such as a RealSense camera which was rather gimmicky. So having spend a couple of weeks, I’m back with a a more in-depth look. 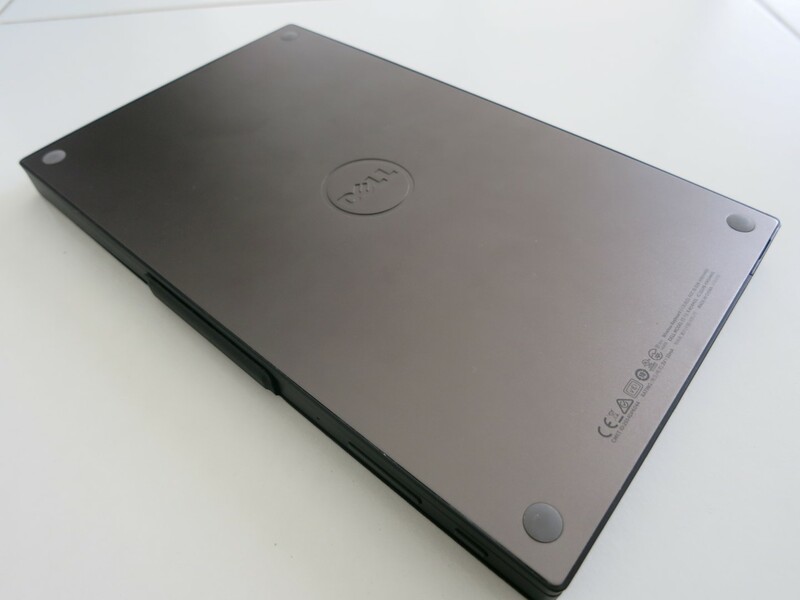 The Dell Venue 8 7000 looks good, with the machined aluminum body epitomising the overall excellent build quality. While it sports a 8.4″ display, the dimensions of 215.8mm x 124.44mm x 6mm, and weight of 306g places it closer to a 7″ tablet. At only 6mm thin, it is the THINNEST tablet yet. Not only that, the other design aspect that stands out is the ultra-thin bezel on the top and sides. The speaker grills and front camera are located on the bottom chin. There’s volume controls and power buttons on the left side, and a micro SD slot on the right. With internal storage capped at 16GB, this microSD expansion is rather critical. Though, do note that most games cannot be installed on the micro SD slot, and it would be limited to media content. And that brings us to the excellent display. I enjoyed watching shows on the Dell Venue 8. The richness of the colour might be subject to over saturation, but it does make the screen more vibrant. The Venue 8 7000’s 8.4-inch, 2,560 x 1,600-pixel display is incredibly sharp. The Dell is tweaked out of the box with a high pixel per inch, which shows more content on-screen. It’s handy for browsing screen intensive content such as screenshots or just scrolling through your emails. Dell’s front-facing speakers are loud, although the design is a little strange. They are in stereo, but that only applies when you hold the tablet in portrait mode. The stereo effect is wasted when the screen is rotated to landscape mode. It’s a weird design choice really. The Dell Venue 8 7000 pushes the frontiers of tiny bezels here, but that’s not necessarily a good thing. I find myself having a hard time holding the tablet in tablet mode. Should I hold it at the chin? That works most of the time, but if I need to use the speakers, I end up covering it. Ok, so all that is mainly covered in my original hands on. What’s new then? After using it for a couple of weeks, I really appreciate how light and thin the Dell Venue 8 is. Unlike other tablets, I find it quite comfortable to hold in one hand once you position it well. 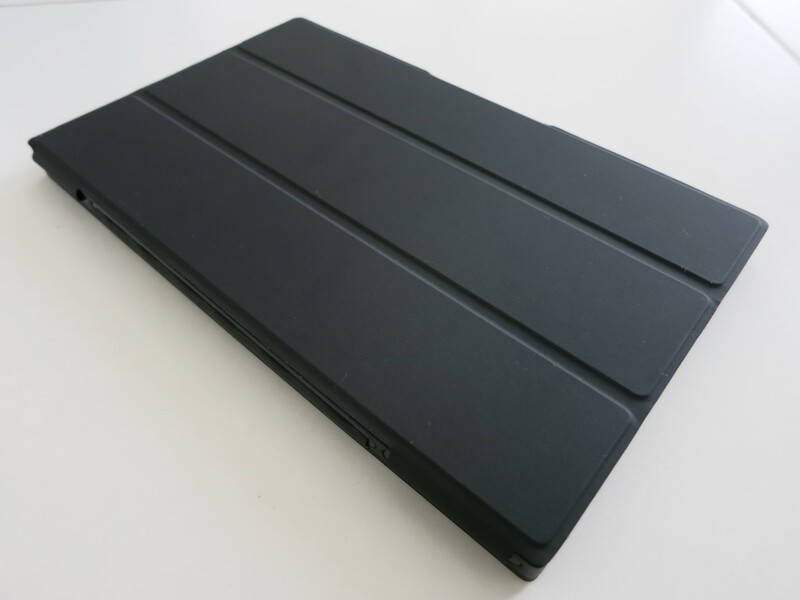 The angular edges and the matte surface at the back does help to ensure it remains stable in your hands, as compared to the round or tapered off designs of other tablets. It can be a little precarious though, since you can’t really grip onto the sides, as that would trigger the touch screen. No palm rejection tech here. It’s better with the folio casing as that gives it something to grip on to or at least I can use the folio case as a stand too. The Intel RealSense Snapshot Depth Camera is backed by the Gallery photo editing app, which lets you manipulate the focus, measure objects and apply filters to subjects on specific planes, all with varying degrees of success. The camera is still more of a gimmick. I didn’t enjoy using it. Especially due to the camera position. I often find my fingers blocking either one of three lens. It’s worst with the Folio case installed, but fortunately, that can be detached. I didn’t had much opportunity to use the tablet for photo taking but here’s a sample shot while trying out the Dell focus feature. The software gets confused with multiple objects which in this case would be the leaves and the stems. Even for the subject in focus, the Somersby logo, the below pear cider words were detected at another focal distance as it is all blurred out. The depth sensing can be useful, but the results may not be what you are looking for in terms of accuracy, and the software processing and detection of distance can be improved. They are primarily more useful as party trick gimmicks and not entirely useful. The Venue 8 7000 easily handled any productivity task I threw at it with no noticeable slowdown. Games, such as Star Wars KOTOR played well. Under the hood, this tablet has a 2.3-GHz Intel Atom Z3580 CPU and 2GB of RAM, so it’s about as speedy as other flagship tablets, if not slightly faster. With the Lollipop update, GeekBench 3 scores were 924 (Single Core) and 2864 (multi-core), which would score it around a Snapdragon 801/805, and rank comparably with similar tablets. 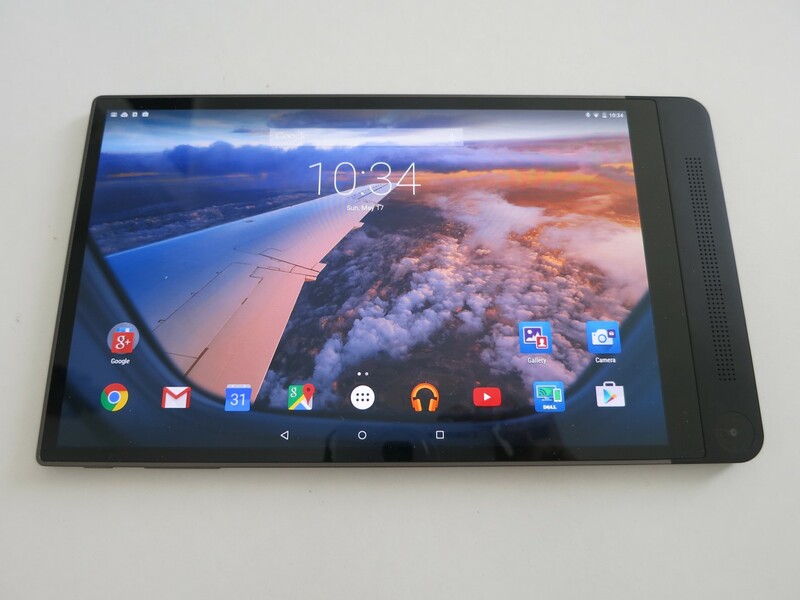 However, it does lose out to the Google Nexus 9, especially in the single core. In Geekbench 3, the Nexus 9 scored 1904 for single-core, and 3352 for multi-core. The Dell Venue 8 can be upgraded to Lollipop 5.0.2. Dell generally leave most of the design to stock Android, which is a good thing. It’s an almost Nexus-like experience, although the time to upgrade took a little long. The Lollipop upgrade only reached the Dell Venue 8 early May, which is significantly late to the game. There’s a couple of Dell only features such as the MaxxAudio and the proprietary Dell Software. There’s also the 3D wallpapers, which shows off a parallax feature, similar to Apple iPads. It’s a classy touch. Lollipop brings improvements to the overall Dell tablet. It might be subconscious, but everything feels a little snappier after upgrading. There’s some of the Lollipop animations and also the more modern style icons. 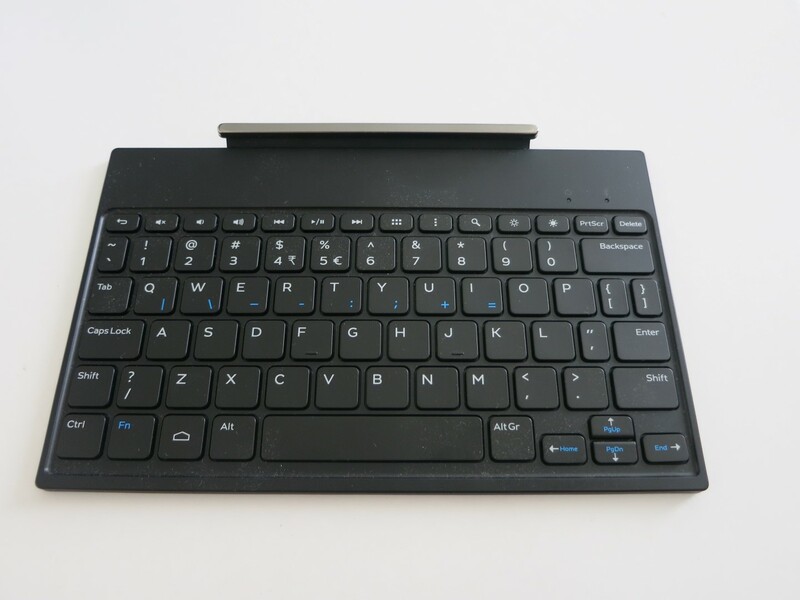 I reviewed the tablet together with the Dell Venue Keyboard Folio. 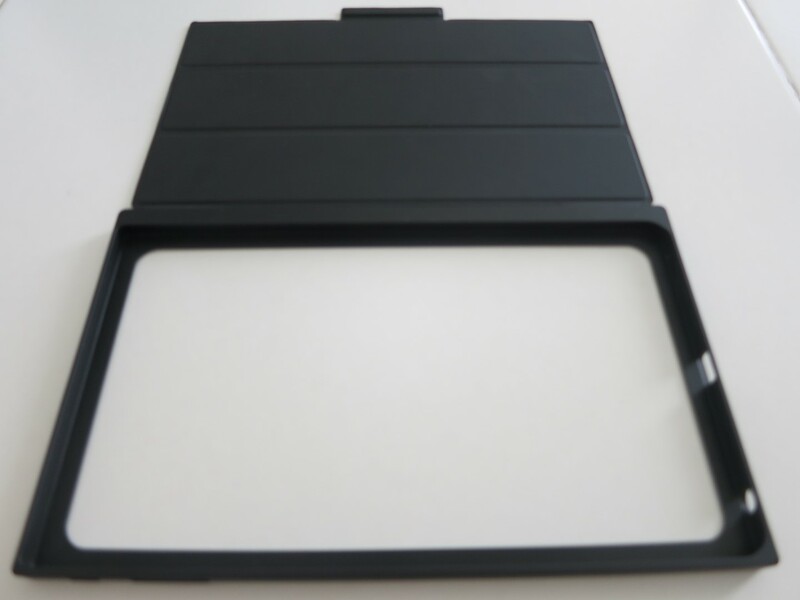 The keyboard is compressed to fit the 8′ size and there are some trade-offs such as the button position. Keys such as the hyphen (-), colon (:) and arithmetic keys (+,=) ate shifted to the qwerty row and activated with the function button. The backslash and question mark keys are also shifted on to the left side of the keyboard. As the function button is placed next to the home button. A slip of the fingers can send you to the home screen instead. While there are compromises in the button location, the keyboard is generally nice to type on.The keys offer sufficient spacing from one another, and while I do have to adjust using it, the typos reduce once you adjust. I am typing this review on the keyboard and the experience is generally good. the keys also offer enough pop and feel, which is decent for a portable bluetooth keyboard. There’s a row of function buttons at the top. The back key, volume adjustments, media control, multitasking, settings, search, brightness, screenshot, delete keys are all at the top. There’s a battery indication and bluetooth pair led on top. with the on off and pairing switch at the side. Dell is also pushing it as a work / play tablet with their Dell Cast option. You can turn any screen into your desktop, and connect with a keyboard and mouse to use your tablet like a PC. With the optional adapter and software app, you can check email or work on documents, and you can stay organized with handy tiles and multiple browser windows. It’s more interesting than a typical Mirroring. It actually enables a desktop environment where your apps can exist in separate windows.This gives the Android system more flexibility and suitability for use in a business environment. The Dell Venue 7000 extremely thin bezels has no equal. They are so thin that they become a minor negative point as they make the tablet hard to hold. Overall, the Dell Venue 8 7000 is a nicely designed tablet with above par performance, but there are still certain quirks which might be an issue for you. Firstly, the chin design is polarizing. Secondly, I have no use for the rear Realsense camera and the front camera position is also in a weird position. Thirdly, the speakers are stereo but useless when rotated to a landscape setting. 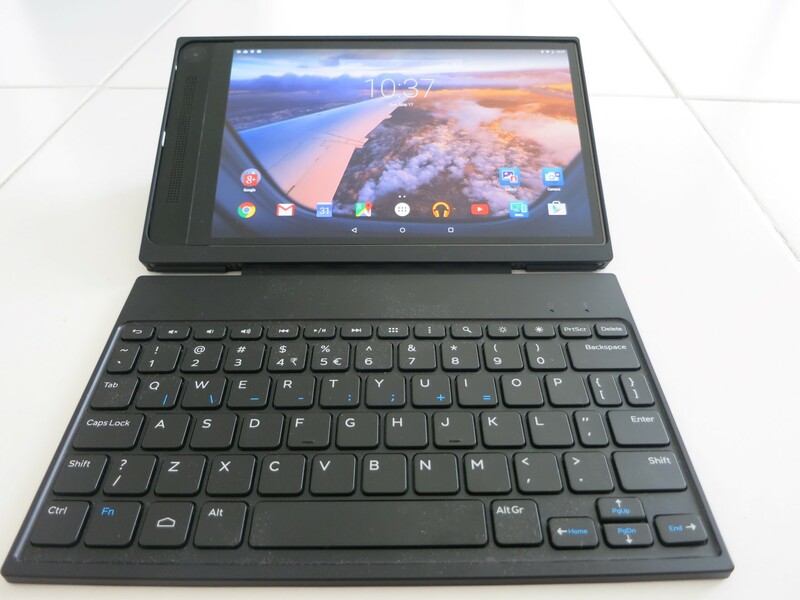 The Dell Venue 8 7000 retails for S$659 with the Dell Venue Folio or S$699 with the Dell Venue Keyboard Folio. Is it worth your money? Well, it’s on the high side as you can get a MiPad for only $299. On that note, the Dell Venue 8 7000 is a different beast, as it is much better built and the design and material used is more premium. However, it is also more expensive than the iPad Mini 3 which starts from $548. So I wouldn’t really consider it value for money. If you can fork out the money for it, you wouldn’t be disappointed with this extremely light, extremely thin tablet.